MOTd til August, I changed all the discs and pads, as well as the handbrake shoes and front brake hoses for MOT. I have it on winter wheels at the moment - its original Perfo 16" 'T5' wheels are here with 2 good Goodyears on them, the other 2 Goodyears are worn out. It has a set of 4 Avon WV7 winter tyres on currently, fitted new in November at £70 each. Both sets of wheels can go with it. There's the usual wear in the driver's bolster but it has proper carpet mats, aircon works, in fact I've made sure everything works, fitting loads of bits from my stash of parts for these (I'll throw whatever I have in the boot too, so it can be kept going!) however cruise control stopped working over Christmas and I haven't had a chance to investigate why. I fitted a pair of new pattern headlamps as the original reflectors were totally shot. Paint is all original, the lacquer is fairly well gone on both bumpers but other than that, I think it hides its age and mileage well. The Perfo alloys are scabby and could do with a paint. It's the old VW AEL engine which is much more frugal and simpler than the later D5, I've had a few of these and love them. Since May I've had it home in Ireland, camping on Mull and Islay, in London a couple of times, never missed a beat! My MOT man did advise on a slight weep of PAS fluid on the rack, I gave it a clean up and some Lucas PAS stop leak on his recommendation and since then in August it hasn't needed topping up, so I'm pronouncing it alright. It does stick the low coolant light on roughly every 1000 miles - I pressure tested it last week (after finally buying the kit!) and found it slowly weeping at the top hose. I got a couple of turns on that jubilee clip so time will tell if that's cured it. Heater matrix is often the culprit on these but the inside stays dry. 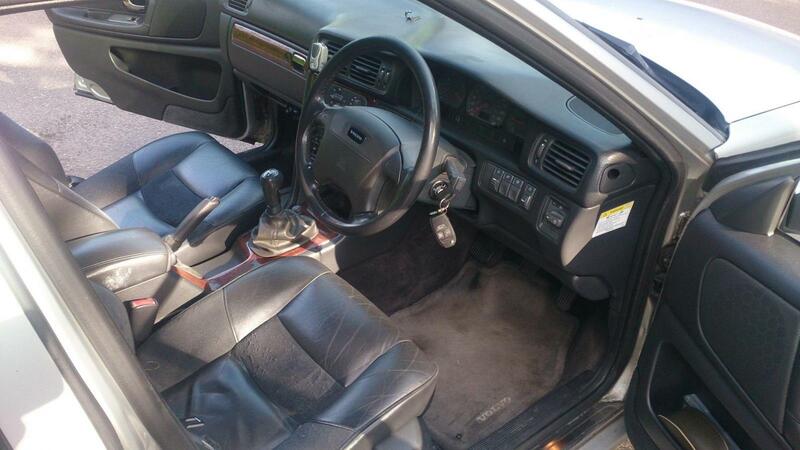 It's the CD model so has wood trim, heated seats, the stitched door cards that don't separate like the cheaper ones, heated mirrors, electric sunroof etc. 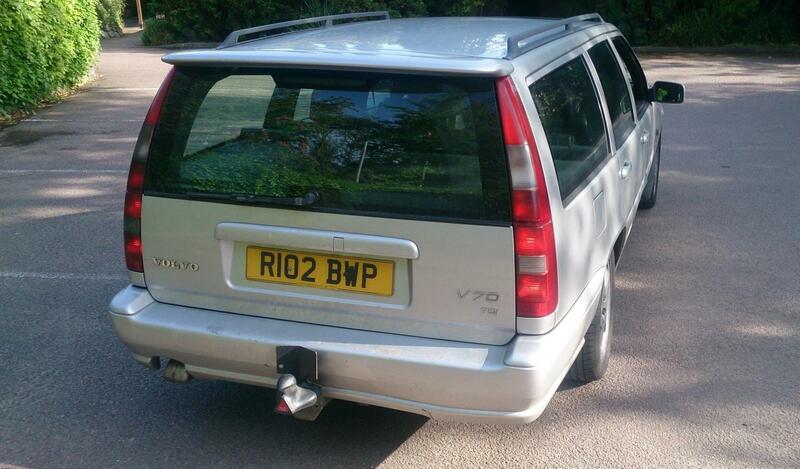 Oh and as all Volvos should it has a towbar and twin electrics. The family I bought it off had it since it was a year old, the service book is full of services every 6000 miles. Not entirely sure what it's worth to sell? I know it's worth a lot more to break, but it's a shame to do that when it has 7 months test and lots of miles left in it. 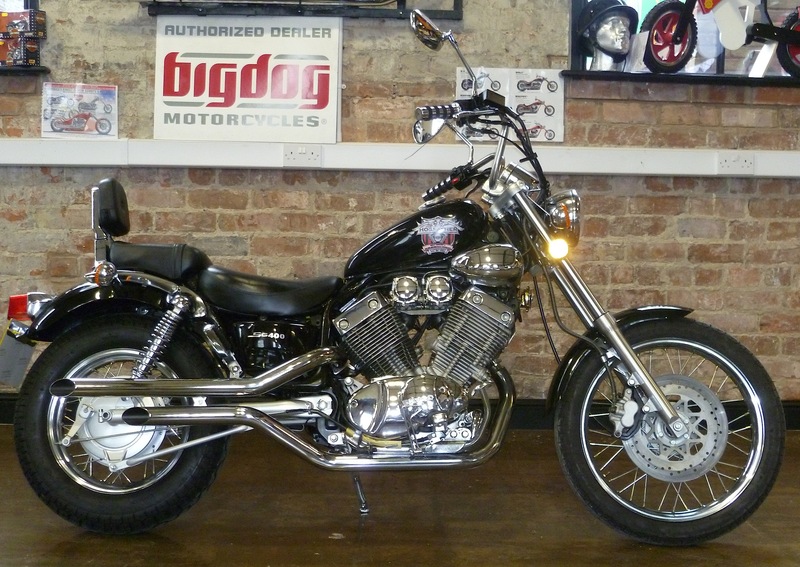 I'd like close to £1000 for it, there's £250 in the stereo and new headlamps. First couple of photos are as I bought it in May, went to Swindon for it! 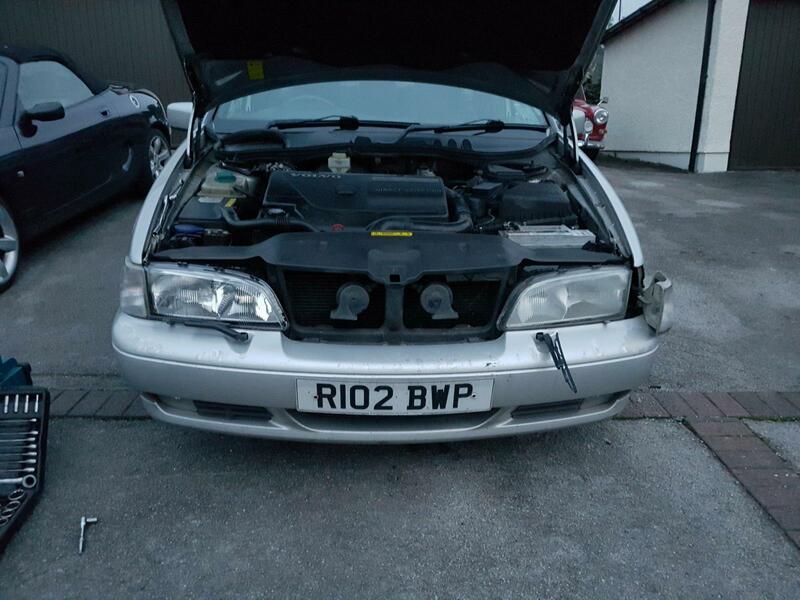 £150 of that £250 I mentioned is in the headlamps, poor wording on my part! I could drop to £750 with the original stereo in - but I'd keep the winter wheels and get 2 tyres on the Perfos for it to go on, as I'd want to hang on to some of the spares as well as the winter wheels. Update to this - it's now SORN'd as it was insurance renewal time and I haven't used it for ages, so it ought to go really. Not a huge amount of test left on it - 20 August. It probably wants a bottom arm for a test but I can't think of anything else at the mo. 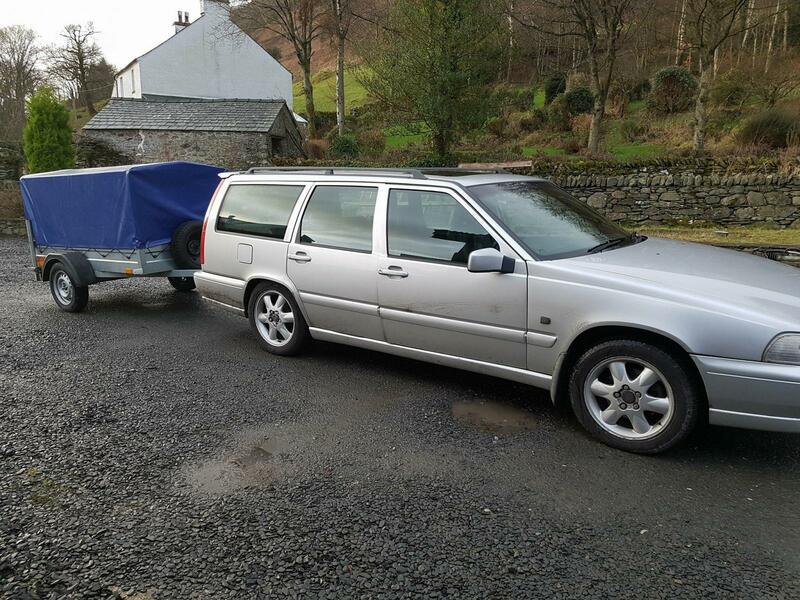 I'm happy to chuck it on the trailer and deliver it, and can do so very cheaply if you're anywhere between South Cumbria and Skye as I'll be heading up with an empty trailer in a couple of weeks. It can have the original stereo back in, one or two sets of wheels etc, happy to work out a fair deal to someone who will keep using it. It's been a fantastic car, and I'll be sad to see it go, but once the test runs out I know I'll have the tape measure on that lovely tdi and in the engine room of the laplander. I've ended up with 2 more cars as of today, taking the total to 9. Bump for a great car, they'll never be cheaper unless diesels are banned. The cambelt's a bit of an expense on these every 70k, not difficult just time-consuming. If the timing's not set spot on (with the right software), it causes all sorts of starting probs hot and cold. 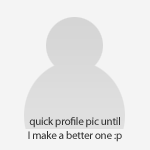 Any records as to when it was last done? Christ, that is massively tempting. I told myself that I'd keep the Saab for a year, even though I've struggled a bit to bond with it. 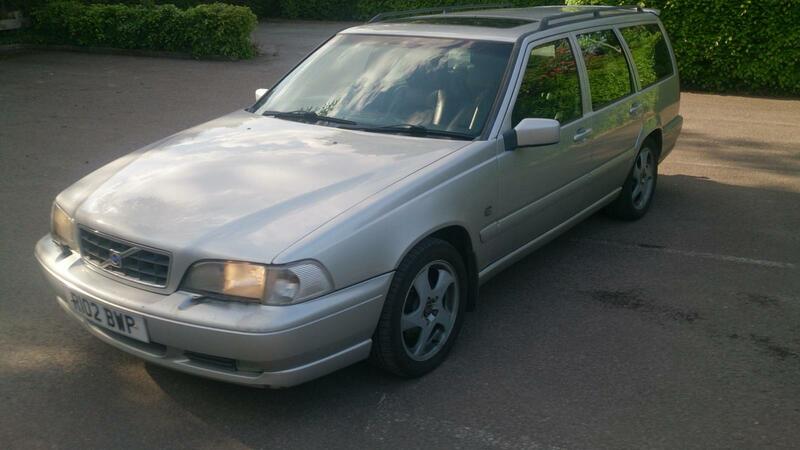 Whenever I see a V70 I have a little wish that I'd bought one instead of the 9-5. I don't even care that it's at the wrong end of the land-mass, I'd drive a good one of those all day. 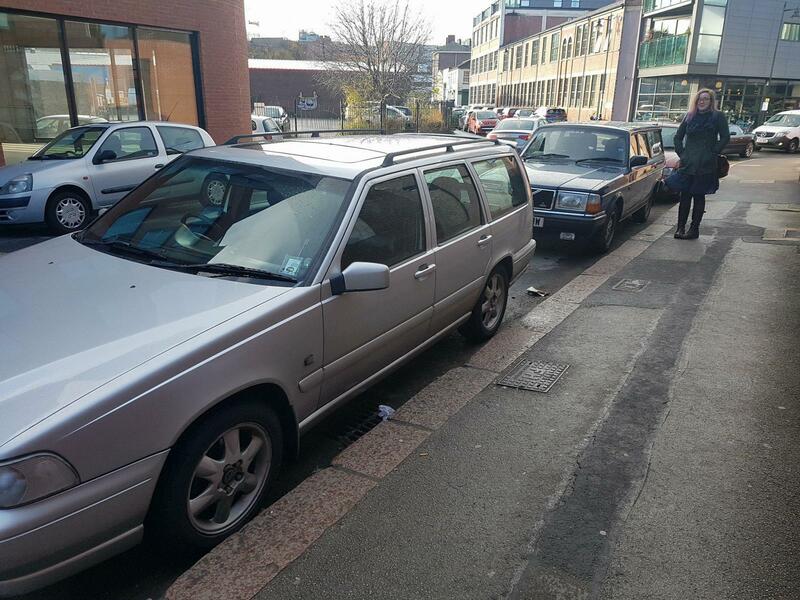 Is there anyone in your neck of the woods who'd like a fairly nice Saab 9-5 Aero HOT estate that would be willing to enter into a complicated swap arrangement? Any deets on the Saab? I reckon it might be cheaper then. But for now, it looks great. I'd normally suggest Mr. Ramrod for a Saab up in these parts but he's selling, not buying at the moment, and whilst I'm normally up for swapz, it's a definite no at the moment! swap for a nice2010 400cc V twin?? No bike licence or I'd consider it! This just sailed through its MOT this morning, with that in mind it's £950 ono. It does look bloody lovely & sensible but I'm trying not to randomly change cars etc GLWTS. And it’s coming south not North, to take over duties from the Beemer that has shamed itself at the MoT station. Colexshun Fred to follow. Train booked, Ovlov insured, ready to roll on Wednesday. I think you have a bargain there Mr TWB. There aren't many better ways to spend that sort of cash IMO. A friend from his still has the 1999 V70 TDI his dad bought new, it's starting to need fairly frequent repairs and he's getting annoyed with it. Hope so, The Beemer failed the MoT on some annoying bits and my blood pressure/ kidneys/ arthritis brining me endless joys in means that whilst I can manage a quick morning on the Capri or an hour or two here and there on the crosser but the idea of spending my last weeks holiday under the bonnet and lying on my back under the car chasing faults was not appealing. The prospect of dealing with dodgy dealers at the sub grand end and the average Gumtree seller would make me sit in a corner and go slowly insane. I had looked at this when it first came up and fancied it but had no reason to go for it but amazed no one else did, not enough antiques dealers on here obviously. Just wish it was a bit closer, but It’s got to be Autoshite fate for it to still be here, it will be Ovlov number 4 for me after a 240, 760 and a great fun 480ES that we went on honeymoon in. Sadly they have disappeared it seems, I think someone on here was reviving one a while back but not seen it in a while. One of the best cars I have ever had, we on,y sold it as our Bassett Hound wasn’t comfortable in the back, we PXed against a Xantia estate which was also great. I have a Volvo habit... Selling this gets me back down to 3, not quite enough for a list. Hmmm, seems the load cover as seen in the pics (which we agreed the price based on ) was sold elsewhere. I thought I had seen it in the pics but convinced myself I had been wrong. Oh well, I will Mark it down to experience but a bit of a poor show. Woah, the load cover in those photos did what they often do and snapped the lugs off internally so it wouldn't retract. That annoyed me, so it went in the bin and I sourced another one recently for £60, which never made it into the car and I want to get my money back on. I had taken some photos on Monday to put on here - and I sent these to sims as soon as I had taken them, showing none fitted and the trim off the tailgate, but we had dealt before I got a chance and I never thought to say. Sorry for any annoyance caused! Those load covers snapping was common when quite new I seem to recall. I'm surprised any have lasted this long.